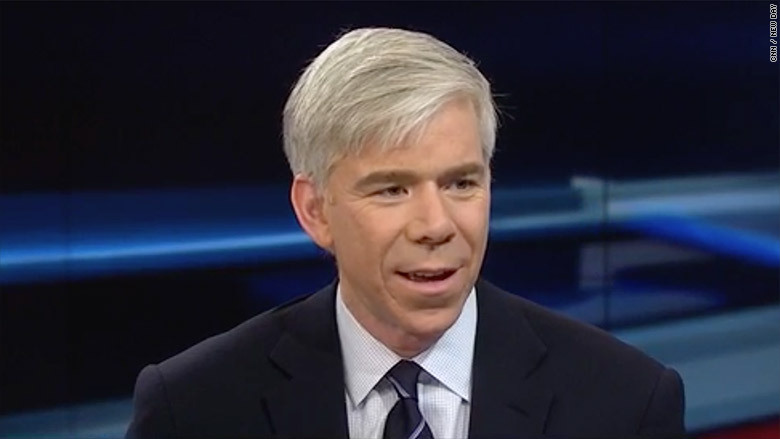 Former "Meet the Press" moderator David Gregory is joining CNN as a political analyst. Gregory, who has been a guest on CNN and Fox News in recent months, officially started in his new role on Monday morning. "He will primarily appear on 'New Day," CNN's morning show, according to an internal memo. Gregory spent about 20 years at NBC News in a variety of roles, including White House correspondent, MSNBC anchor, and "Today" show substitute host. He succeeded Tim Russert as the moderator of "Meet the Press" and led the storied Sunday morning program for six years. Gregory was blamed for ratings declines and hindered by comparisons to Russert. In his recent book "How's Your Faith?" he hinted at disagreements with a "new boss," NBC News president Deborah Turness, who was pushing "pretty unorthodox" ideas to change the program. He twisted in the wind for a while before NBC officially appointed Chuck Todd to replace him. In his book, he calls it "the lowest moment of my professional career." Nearly two years later, Gregory remains one of the best known political broadcasters in the country. And he's not the only former Sunday show moderator now offering commentary: Bob Schieffer, who signed off "Face the Nation" last year, is an election-year contributor to CBS News. CNN's addition of Gregory may bolster "New Day" in its daily competition with "Morning Joe," "Fox & Friends" and other morning TV shows. Gregory has already been appearing on "New Day" to analyze big political events and primaries. On Monday, CNN also appointed another regular guest, Angela Rye, to be a political commentator based in Washington. Rye, a former executive director of the Congressional Black Caucus, heads a political advocacy firm called IMPACT Strategies. Like other cable news channels, CNN has added to its stable of political experts in recent months, hiring commentators like David Axelrod, Mary Katherine Ham, Jeffrey Lord, and Bill Press.